I basically missed the boat with this game, when it was breaking ground in the fledgling computer game industry in 1985, I was playing Sierra adventure games. 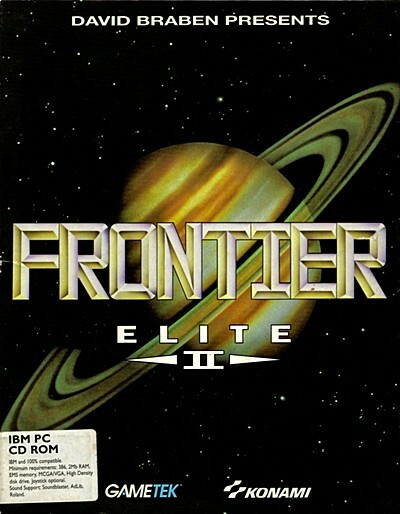 I got into this incredible 3d space trading sim in 94 when the souped up Frontier Elite version was released for PC. This game used seeded randomly generated star system configurations to create the illusion of an infinitely large universe. The basic premise of trading to create wealth and gain starship improvements was extremely addictive. This game managed to avoid the tedium created by repetitive tasks to gain wealth and levels, by hosting the game in a essentially limitless universe. The vastness of the playing environment provided a diverse range of trading and combat opportunities that truly immersed the player. This first and best pen and paper roleplaying game I have played. It is amazing how good a game can be when the designer (in this case the gm) is not limited by technical considerations. Complex storylines driven by multiple factional forces and powerful characters. The champions system provides a generic character creation model that does not the limit the player in any way. Having some kind of mutant collector gene makes me a sad target for evil card producing mega-corperations sucking me of my meagre finances. Before they brought out umptine-billion (err ... apprently there were three) expansions this game totally rocked and I spent a hell of a lot of time hanging with my best buddies , drinking beer, eating pizza and playing vampire. Really tight combat system with lots of options and good balance kept us coming back for more. There were no "This card will let me win , yay , but it cost me 400 bucks" cards which is nice. I was never mugged by a horde of 15 year old, card mafia nerds in black leather jackets, carrying automatic weapons. So all in all a pretty good collectable card game.